who would anda like to be KAZUMI YOSHIDA'S partner? 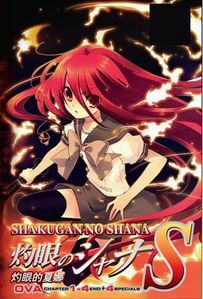 Is this actually from Shakugan no shana atau did someone just rip off shana's uniform? can anyone tell me a good website to watch this tunjuk on? a pop quiz question telah ditambah: Which Denizen does Margery Daw seek revenge on? when was the OVA episode 4 released officialy?